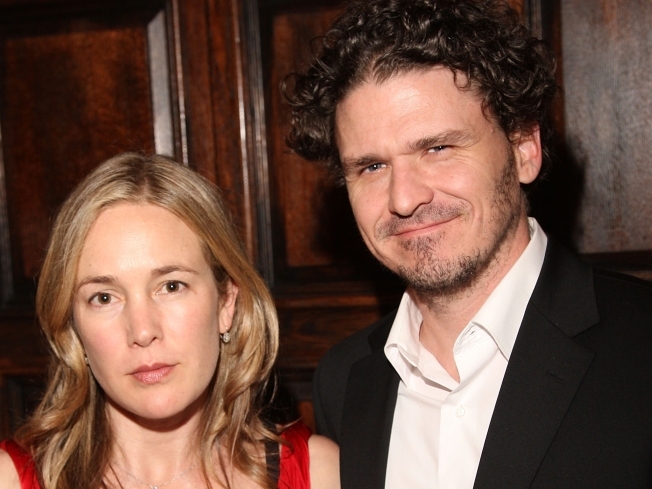 Dave Eggers, right, with wife Vendela Vita, left. Dave Eggers may be known to some for his Hollywood screenplay of the classic Maurice Sendak children's book "Where the Wild Things Are." But Eggers has been telling stories for a longtime. He was a National Book Critics Circle Award finalist for his novel about the Lost Boys of Sudan called "What Is the What." The writer's latest book "Zeitoun" has been receving critical acclaim while upsetting others at the same time. Eggers tells the real life story of Abdulrahman Zeitoun, a successful Syrian-born painting contractor, who decides to stick around in New Orleans after Hurricane Katrina hit to save lives. And while Zeitoun turns out to be a hero, he is greeted as a potential terrorist suspect by the Department of Homeland Security and dealt with accordingly. Eggers and Zeitoun have been traveling the country sharing the story and Thursday the writer will be back in the Bay Area, where he resides. The novelist will be in conversation at the San Francisco Main Library at 6 p.m. with humorist and fellow writer Beth Lisick. Eggers will be talking about his book, the writing process and more.